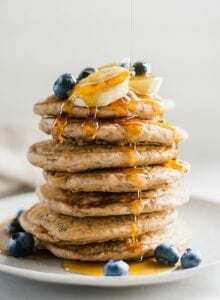 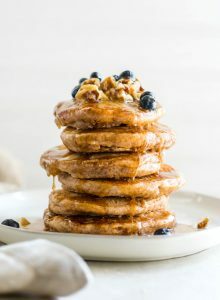 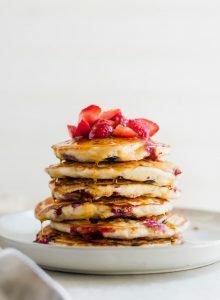 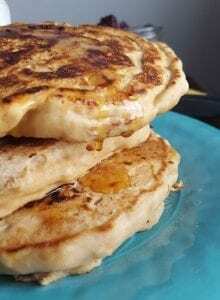 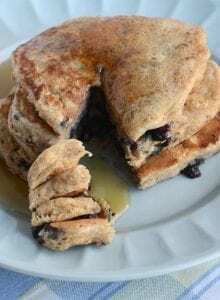 Browse all my favorite vegan pancake recipes. 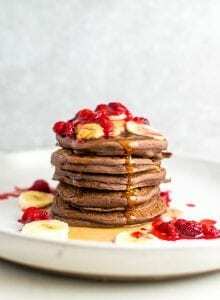 I’d recommend starting with my chia seed pancakes or whole-wheat fluffy vegan pancakes. 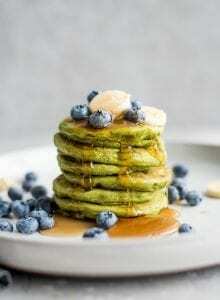 Both are reader favorites will many wonderful reviews. 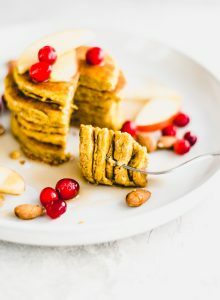 If you’re looking for a simple, fail-proof gluten-free recipe, you’ve got to try my go-to chickpea flour pancakes. 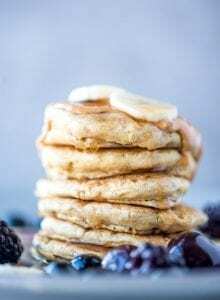 All recipes are oil-free and can be sugar-free.